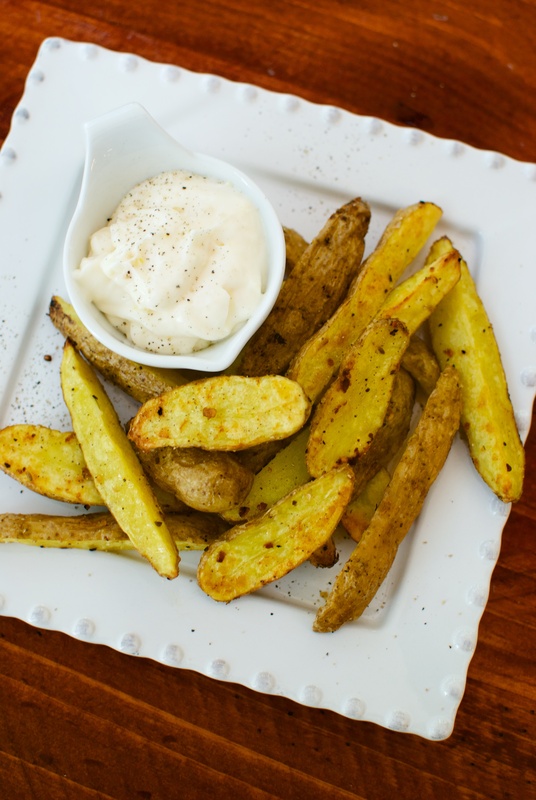 Roasted Potatoes with Lemon Garlic Aioli…. and man, is it a total WINNER! Most meals I cook in the colder months (heck! even warm months!) have roasted potatoes on the plate. 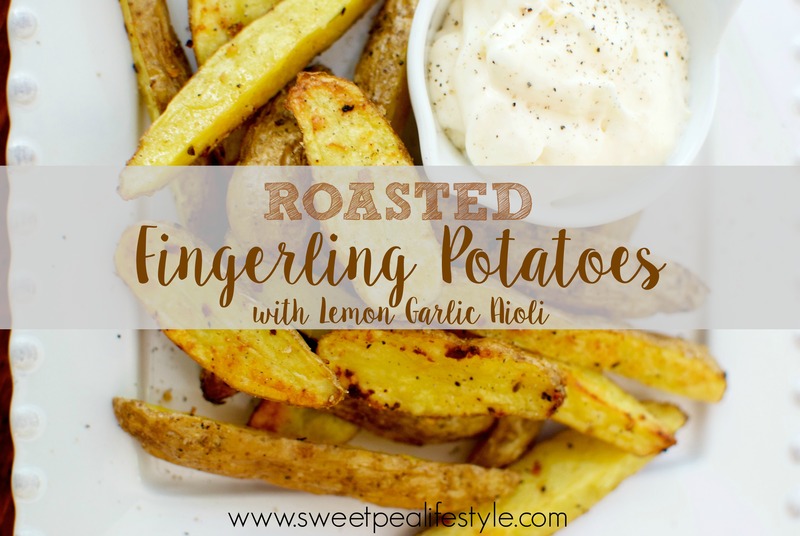 These are roasted fingerling potatoes, which are in season Spring and early Fall… and they are just the cutest, most tender potato you ever did meet. 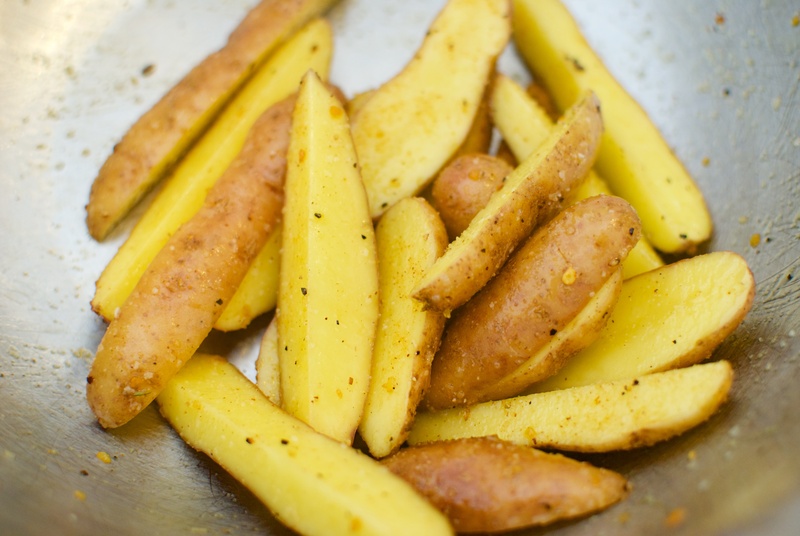 Like the Roasting Rules explain, EVOO + salt & pepper = roasty toasty goodness. 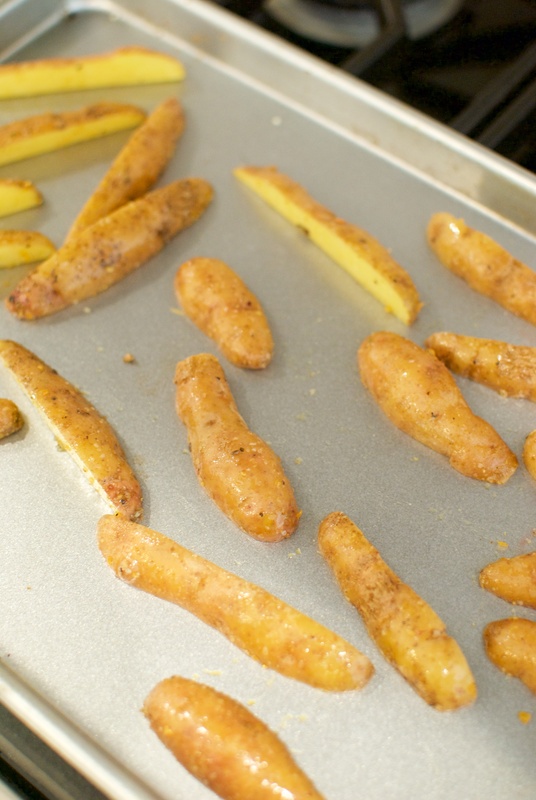 ESPECIALLY for potatoes… You want that crispy outside, and soft, pillowy inside. To achieve this roasty-toasty-goodness, it starts with your spuds “face down” on a half sheet pan. 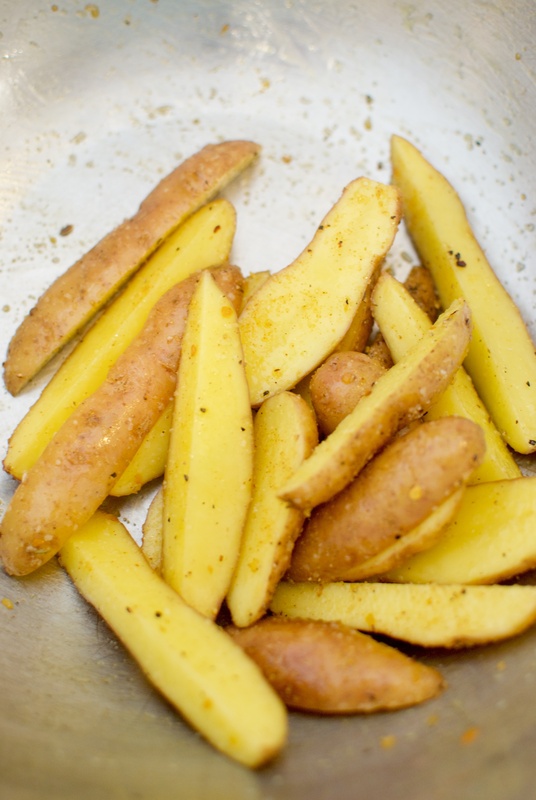 No need to spray the pan, your potatoes will be plenty oiled after you toss them well. Place in a 425 degree oven for 20 minutes. At this point, flip them over and see how they’re doing. They may be perfectly done, and ready to be plated. Otherwise, flip them, and put back in the oven for a few more minutes. Maybe 10 at the most… depending on how large your chunks are, and how much breathing room they have. 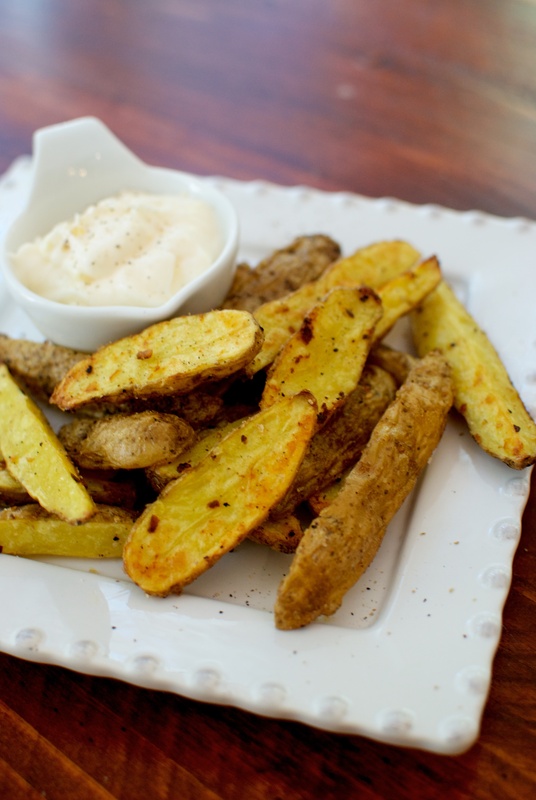 Once they are crispy + fork tender, plate them up and serve immediately! 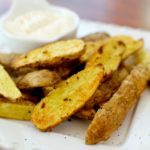 This recipe works for sweet potatoes, too! I love using McCormick’s Smokehouse Maple seasoning when I’m preparing sweet potatoes. 3. Dish out some canned tuna, sliced hard boiled eggs, blanched green beans, and you have yourself a nicoise salad! This recipe looks divine! 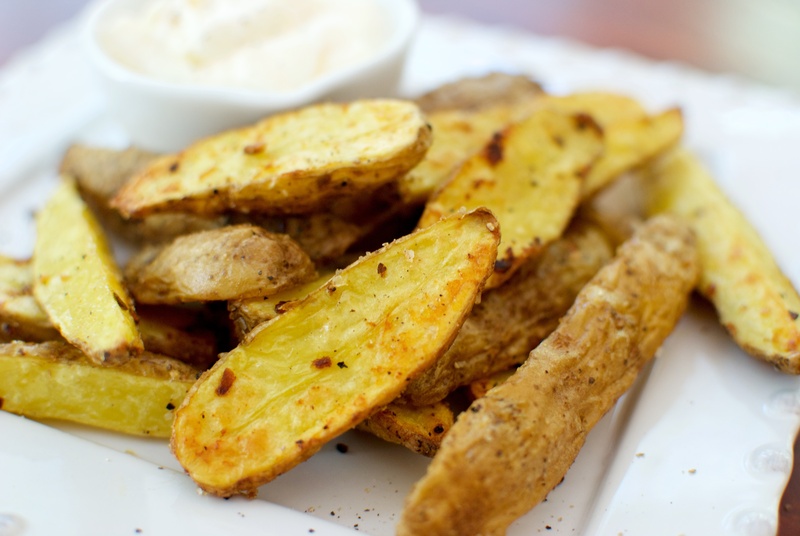 Can’t wait to hear your thoughts on these roasted potatoes! Any spice blends you love and swear by?! 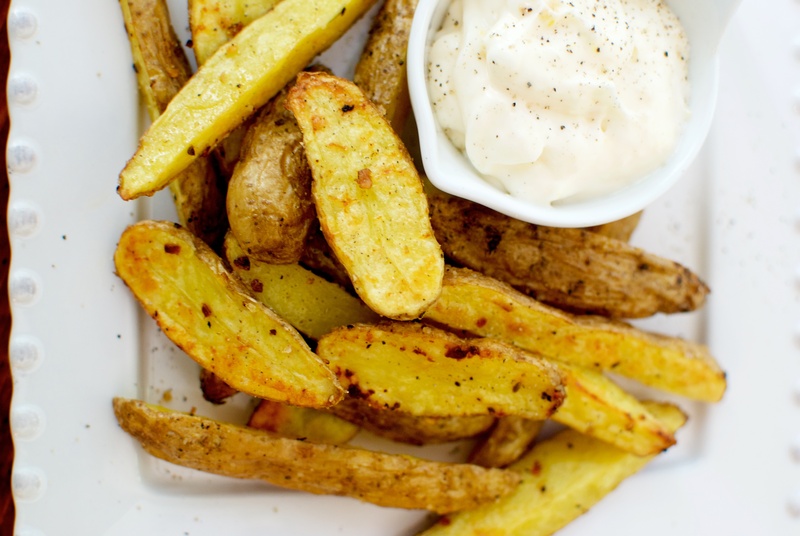 Crispy, tender potatoes with a lemony-garlic mayonnaise will transport you right to the heart of Paris in no time! Preheat your oven to 425˚. Slice potatoes length-wise, and toss with oil in large bowl. 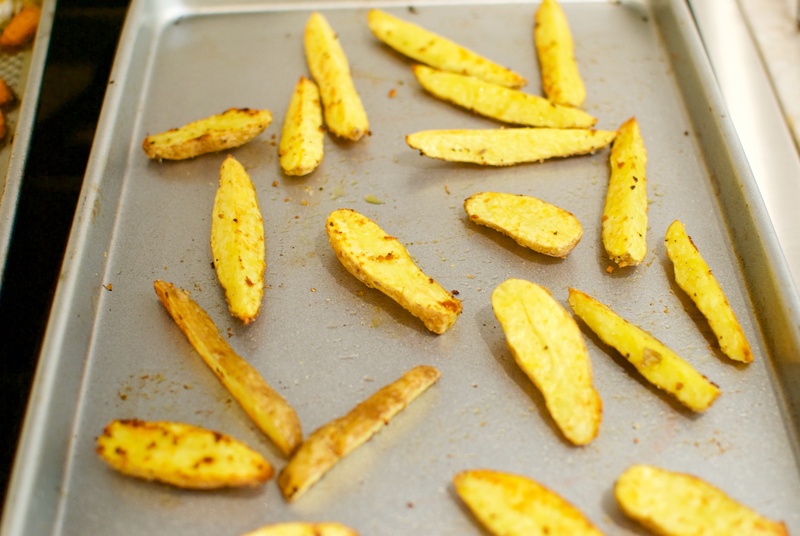 Add potatoes to a half sheet pan, placing "flat side" down. Roast for 20 minutes, and flip. Roast 5 more minutes after flipping. Blend all aioli ingredients in small bowl. This saves well in a covered glass jar, for up to two weeks. I'm Ashley and I believe life starts at the table. Since I was a little girl, my favorite place to be is at the kitchen table -- surrounded by the people I adore, eating delicious food, and listening to family stories. Let's create life around the table!